RE'19 | RE Mentors for Research Track, Industry Papers, and Re@Next! RE Mentors for Research Track, Industry Papers, and Re@Next! A resource offered by experienced researchers to authors for helping improve the presentation and quality of their work. We (Nan and Shaukat) are the RE Mentors for authors of research papers, industry papers, and RE@Next papers. We are fully committed to helping you with your papers! You must be wondering why do we qualify to mentor you. 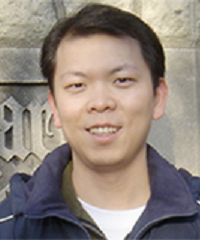 Nan Niu: I am an associate professor at the University of Cincinnati, USA. My research interests focus on requirements engineering, software traceability, and information foraging in software engineering. I have served on numerous organizing and program committees, including serving as General Chair of TEFSE 2013 (International Workshop on Traceability in Emerging Forms of Software Engineering, Collocated with ICSE 2013), and the upcoming ICSR 2019 (International Conference on Software and Systems Reuse). I have published 8 RE full research papers, won the Best Research Paper Award at RE'16, and the Most Influential Paper Award at RE'18. I am on the Editorial Board of the REJ, on the Organizing Committee of 5 RE's, and on the Program Committee of 5 RE's. I want to help people have their papers with cool ideas accepted and to broaden our community. I'd also love the accepted RE papers to have high qualities, high citations, and high impacts. 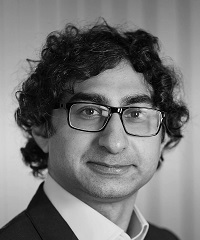 Shaukat Ali: I am a senior scientist at Simula Research Laboratory, Norway. My research focuses on design, development, and testing of Cyber-Physical Systems. I have been on the program committees of several international conferences (e.g., RE, MODELS, ICST, GECCO, SSBSE) and also served as a reviewer for several software engineering journals (e.g., TSE, IST, SOSYM, JSS, TEVC). I have won Best reviewer award at MODELS 2014 and SSBSE 2018, and Best paper awards at SPLC 2017 and MODELS 2013. I have successfully supervised/mentored six Ph.D. students and six others are on-going. I have also mentored three post-doctoral fellows and one research engineer. I love to share my experience with young researchers and mentor them to contribute their great ideas to the RE community! Although we set the mentoring deadline to Monday, March 04, 2019, please feel free to send us your papers for mentoring as soon as possible so that we can provide you our feedback earlier and you have enough time to address our comments. Additional instructions for the Double-Blind Review process can be checked on the Call for Research Papers page. Please see below some FAQs about submitting papers to conferences. These FAQs were first offered by Don Gause, who was the RE Mentor for research papers for RE'13 and then revised by Daniel Berry (RE Mentor) for RE’17. The guidelines below are exactly taken from Daniel Berry’s RE2017’s mentoring page. Are reviewers always looking for the worst in submitted research papers? Believe it or not, many reviewers are looking for the best in papers, even in the “bad” papers. No one wants to abandon a good idea. True, reviewers have the responsibility of maintaining the reputation of the event or journal but they also have the responsibility of making sure that papers are presented and published2. Otherwise, the reviewers would be out of work, as would conference and journal publishers and sponsors not to mention the loss of great ideas and the sharing of knowledge. Writers need to keep in mind that the reviewer can be the author’s best friend in strengthening even the best of papers. What makes for a bad research paper? Obviously, bad research [leads to a bad research paper,] but comments on this come later. But, what many early researchers don’t realize is that [a badly written report about] even good research … can mislead a reviewer into a rejection bias …. A common example would be a disorganized paper that looks like it has been written by several authors (and probably has been), no one of which has read the complete paper. Making matters worse, I have reviewed papers in which the reader could easily be convinced that one or more listed authors had not even seen the paper, let alone read it thoroughly before submission. It is hard for a reviewer to feel good about a paper when the reviewer gets the idea that he or she has put more time into understanding the paper than the authors have spent in writing it. What makes for a good research paper in the first submission? In Form: The paper is well-written and understandably organized. The figures, tables, and graphs are located appropriately throughout the paper3 and of size to be readable without a magnifying glass. Novelty – Does the paper contain new and original ideas and information? Relevance – Is the information not only new but is it relevant to an existing problem or opportunity? Do the author’s findings provide good answers to the “so what” question? Timeliness – Is the information provided when it is needed or when we can most benefit from it? Credibility – Is the information intuitively satisfying and, if not are there plausible explanations? Is the information suitably backed and, when based on experimental results, does the documentation pass the reproducibility test? Complete – This is as much in reference to the documentation of the research results as to the resulting information and knowledge. Are the information and its documentation complete to the degree that the work and results can be repeated? Has the author sufficiently described and rationalized the research methodology? Qualified – This again refers to the form in which the newly developed information is presented. Has the scope of applicability been effectively defined and, have refutations of the work been offered by the researchers? This is sometime referred to the threats to validity of the presentation and is an effective way of describing the region of admissibility of the study. 1 Glass, Robert L.,Ramesh, V., and Vessey, Iris (2004) “An Analysis of Research in Computing Disciplines”, Communications ACM, 47(6), pp.89-94. June 2004. 2 You can read all about the role of the reviewer here: Smith, Alan Jay. (1990) “The Task of the Referee”, IEEE Computer, 23(4), pp.65-71. April 1990. 3 The appearance of a figure, table, or graph is normally placed immediately after the paragraph of its first reference in the text.